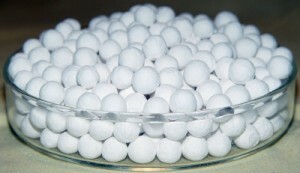 Industrial Air Power stocks several sizes and types of dessiccant for your regenerative air dryer including Activated Alumina, Silica Gel, Molecular Sieve & Deliquescent. Standard sizes are 1/8", 3/16" & 1/4" beads. Click the categories below to see specific pricing.